Have you ever thrown away a pot because it was just too far gone to clean? Those things happen and as long as it’s not a favorite pot, it’s easy to replace. It would be great if everything we wanted to get out of the house could just be tossed into the trashcan but that’s not possible with things like furniture and appliances. If getting rid of those kinds of rubbish items are part of your midsummer cleaning, then you’re going to want to bring Junk King Denver into the equation. Why a midsummer cleaning? It makes sense to get the house in order before school starts. That is sure to add an element of clutter and chaos. If kids aren’t in the scenario, then perhaps you’ve been holding onto those big elements simply because you didn’t have a way of getting rid of them. 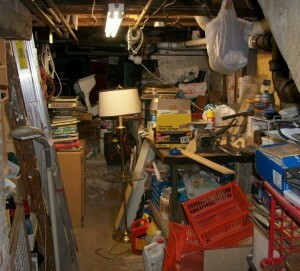 Now that Junk King is working in the Denver area, getting rid of big items is a breeze. Junk King is going to send over two movers to make this all happen. This is going to be a great team to work with. On the day of your appointment, they’ll stay in touch by phone call or text to let you know how far out they are. You will have picked a two-hour window for your session and Junk King prides itself in landing within that window on a consistent basis. In fact, more customers are pleased when Junk King can show up even earlier. Once on the scene, the Junk King squad is going to look over all the things you want to get rid of. They’ll be sizing these objects up for the best approach for carrying them down stairs (if need be) or around sharp corners. They’ll also be able to make an estimate on how much space all those things are going to take up on the truck. That is how Junk King sets its prices. All of this means don’t hesitate giving Junk King the heaviest things in your home; you’re not going to b charged by the pound! Your midsummer cleaning can go to the next level with a rubbish removal session from Junk King Denver. Set that up today. This entry was posted in Denver Junk Removal and tagged Junk King, junk removal, midsummer cleaning on July 31, 2018 by Junk King. Last updated July 31, 2018 . People forget things every day. Usually, these are little things like what they were meant to pick up from the grocery store or to set the DVR to record a favorite show. Usually, it takes some visual cue to remind us of what we forget. We might actually see the thing on the grocery shelf and remember this was what we’re supposed to buy. There might also be a billboard advertising the movie or TV show we want to record. While driving around Denver, you might have noticed the big red Junk King trucks making their rounds. These can be a reminder, too. One look at those trucks will have you thinking, “I need to hire junk haulers.” Luckily for you, Junk King Denver is always standing by to help with that task. Junk King Denver has proven itself to be a dependable service. The majority of customers who leave comments praise Junk King for their promptness. 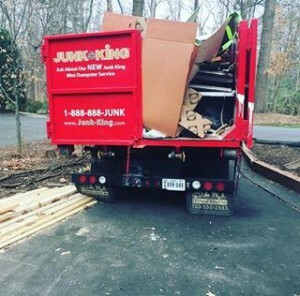 When you set up a junk removal session, Junk King asks for a two-hour window. That gives the crews time to complete a specific task and make it from one appointment to the next. It’s a Junk King policy to call a customer on the day of the appointment to keep them informed of the crew’s progress. Often, that call might provide the option for an early pickup. No one ever has a complaint about that! Junk King also proves themselves dependable when the crew shows up for the appointment. They’ll be ready to spring into action and that begins with a review of all the things you want to get rid of. Those items can be in the same place where they’ve always been. In other words, you don’t have to move them downstairs or out of the house. That is what the Junk King crew will do. After they’ve looked over your items, they’re going to present you with an estimate that will be based on volume and not weight. It’s this fair approach to pricing that has made Junk King Denver the leading junk hauler in the area. When the price is agreed to, the crew will get busy loading up all of your things. In a matter of minutes, you’re going to have a junk free home. When you want to get rid of unwanted clutter from your home, you should always remember where to find dependable junk haulers. It’s Junk King Denver. This entry was posted in Denver Junk Removal and tagged junk haulers, Junk King on July 23, 2018 by Junk King. Last updated July 23, 2018 .